Weird Al Yankovic is an institution at this point. His latest album, Mandatory Fun, is his 14th, and his first self-titled release came out back in 1983. That, if my math is correct, is 31 years, giving pop music’s foremost parodist a career longer than almost any musician he’s ever lampooned. Additionally, Yankovic doesn’t merely get to do the same thing over and over like many legacy acts. His sound has to evolve with pop music, and Yankovic and his bandmates have had to be chameleons, constantly evolving around with the trends. This is all very impressive, but impressive does not necessarily mean good. Fortunately, Weird Al has not found himself stuck in a rut or phoning it in. The man continues to deliver. To a degree, Mandatory Fun is what you’d expect from a Weird Al album. It has its parodies of recent and semi-recent pop hits, some originals, a polka medley and a long, absurd song to cap the album off. Along the way, there is plenty of silly humor and general nonsense. Yankovic works within certain constraints, but he has done his damnedest year in and year out to make sure he makes use of every inch within that box. After all, there isn’t even a song about food on Mandatory Fun It’s a brave new world. The three big parodies on this album are likely to be “Handy,” which spoofs Iggy Azalea’s “Fancy,” “Tacky,” a parody of Pharrell Williams’ ubiquitous “Happy” and “Word Crimes,” his take on Robin Thicke’s “Blurred Lines.” They are all fine parodies, although none of them really sticks out as being particularly humorous. None of them is likely to join the pantheon of all-time Weird Al parodies, but they are all perfectly pleasant and may elicit a chuckle or two, with “Word Crimes” being the best. At least the polka medley is strong. However, the album excels at the originals and style parodies. In particular, “My Own Eyes” is a fine slice of Weird Al absurdity, emphasizing Yankovic’s skill for constructing bizarre little turns of phrase that tend to be quite funny. This is also Weird Al’s most inventive, original work in a long time, which is impressive for where it comes in his career. “Sports Song” and “Mission Statement” speak to this specifically, and while the aforementioned spoofs are merely solid, and the Lorde parody “Foil” is slightly less than that, they are all at least new avenues for Yankovic to explore. Plus, he intends to release eight music videos form this album, and Weird Al is as much a visual artist as anything else. Obviously, Weird Al fans know they are going to buy this album, but when they do, they should be happy. 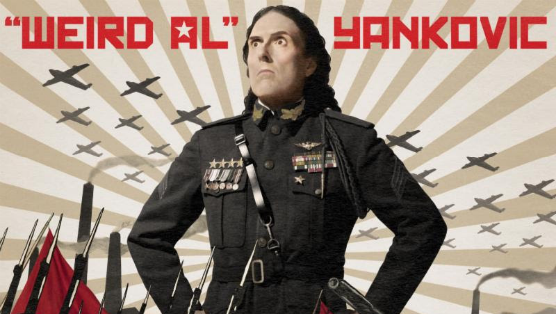 Mandatory Fun is a good, humorous album that shows that Yankovic is not slowing down in the slightest. He’s still creative, the band still prove themselves to be shrewd mimics, and there will always be new pop songs to parody, or to play as rockin’ polka ditties. The fun may be mandatory, but Weird Al still earns it.